A new residential construction project outside of Park City, Utah used innovative building products and materials from Atlas Roofing Corporation to ensure insulation efficiencies. 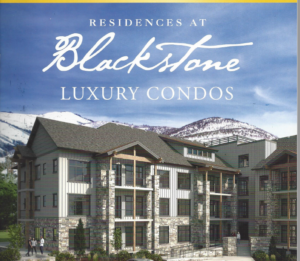 The designer of the Residences at Blackstone, a community of high-end multifamily townhomes and condos, wanted to provide energy-efficient housing that also met the standards set by the State of Utah and the U.S. Department of Energy. In July 2016, Utah adopted the 2015 International Energy Conservation Codes (IECC) to meet federal requirements and help households and businesses save money and improve the environment. 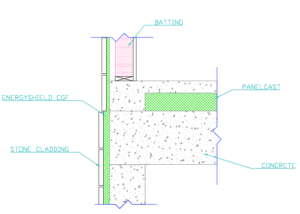 The new codes require significant increases in the thermal efficiency of the building envelope. The adoption of these codes will result in an estimated $170 million in annual savings by 2030 in Utah alone. For the first-class buildings located at the base of the Utah Canyons, the Blackstone team needed to find a product that met the demands of the local climate and building codes, as well as the rigorous quality standards of the residential community. That meant finding a continuous insulation solution. Positioned as affordable luxury homes, the Blackstone community also required cost-efficient building materials. The Blackstone team turned to Atlas and their industry leading EnergyShield product for a high quality and cost-efficient solution. A critical part of increased energy efficiency for residential and commercial buildings is the improvement of the thermal performance of the building envelope, which includes the roof, walls and slab floors. Selecting a rigid foam insulation to provide a continuous layer of insulation can be a challenge. The Blackstone design and build team selected Atlas products, including EnergyShield® CGF Pro for the walls and EnergyShield® PanelCast™ in the slab floors to meet the strict new building codes without sacrificing quality for cost. These polyiso panels provide higher R-value than other foam insulation products such as XPS. With Atlas EnergyShield® CGF Pro, Blackstone will achieve higher effectiveR-values with minimal material thickness, which can allow for more usable floor space. The sturdiness of the product, high quality and cost-efficiency, plus Atlas’ long history of outstanding customer service, made the company an easy choice for the housing development. “Initially we chose Atlas because of the high R-value and the ability to use the products in different applications,” said Byron Nelson, owner of Nelson Insulation. “With the geography demands of this particular build, we needed a product that was truly exceptional, and it became apparent that the Atlas EnergyShield® polyiso product was the best choice for us. We are also continuously impressed with the technical knowledge of our Atlas team”, continued Nelson. The Atlas EnergyShield® CGF Pro wall insulation combines high R-value, durability and water resistive barrier attributes in a high-performance continuous insulation solution. It’s composed of a Class A fire-rated, closed cell polyiso rigid foam core faced with a high performance coated glass facer on the front and back. Polyiso rigid foam has been a standard in roofing systems for many years, but its superior fire resistance and ease of installation has made the product even more popular in wall assemblies. EnergyShield® CGF Pro is available in various thicknesses and R-values. Blackstone used a 1-inch thickness with an R-value of 6. With these high R-values, the building will be more energy efficient and provide a higher resistance to energy transfer. The popular elevated “podium” slabs in the multi-family construction project utilized EnergyShield® PanelCast™. The PanelCast™ product is composed of a closed cell polyisocyanurate (polyiso) foam core, faced with a non-reflective coated glass-mat facer on both sides. The blowing agent used to produce the polyiso foam core in both PanelCast™ and EnergyShield® CGF Pro does not contain any CFCs, HCFCs or HFCs, has zero Ozone Depletion Potential (ODP), negligible Global Warming Potential (GWP) and is Green Guard Gold certified. It combines high R-value, enhanced durability from two coated glass-mat facers, and water resistive attributes in a high performance rigid wall insulation. shown at the top of the diagram. The EnergyShield® PanelCast™ product is being used in the ceiling of the garage floor of the home to keep the inside warm and energy efficient, despite a cold garage that would allow the air to escape. Atlas provided a 4-inch layer of continuous concrete insulation with an R-value of 25 over a 6-inch concrete slab with a high-performance radiant heating system on the first floor of the luxury condos. Not only does EnergyShield® PanelCast™ offer a higher R-Value over other products—like EPS and XPS—it’s also a higher quality product. Other materials are often less durable and have the potential to melt at lower temperatures. But the EnergyShield® PanelCast™ alkali-resistant coated glass stands up to issues like harsh casting. Blackstone didn’t just use EnergyShield® PanelCast™ for condo flooring. They also incorporated EnergyShield® PanelCast™ into the garage flooring. The underground parking garages were built using 15-inches of poured cement slab, 4-inches of EnergyShield® PanelCast™ and then an additional 4-inches of poured cement. The Atlas EnergyShield® PanelCast™ product is available for all concrete wall systems and many above grade slab applications. By using EnergyShield® CGF Pro and EnergyShield® PanelCast, Blackstone was able to meet the strict energy-efficient standards set by Utah, while maintaining the elegant design of their residential buildings. The Atlas products provide an uninterrupted thermal barrier that will keep the residences energy-efficient for years to come. At this point, sixty percent of the residential project is complete with Atlas products being installed as the insulation solution to meet the stringent new codes and provide a higher performing building envelope.